It’s been a while since I’ve posted a construction update and things have really changed since the last set of photos. The ground floor is almost completely shelled in with concrete. All of the concrete walls are up and forms are in place for concrete to be placed on the ground floor ceiling or floor. I say ceiling or floor because it depends on your perspective. If you’re on the ground floor the concrete that will soon be poured will end up the ceiling. If you’re on the first floor the concrete will be the floor. It was hard to get perspective of the project when it was just a hole in the ground. Things are different now. The walls really help provide a sense of the size of the project. please keep in mind only about one-third of the first floor addition will have a basement. 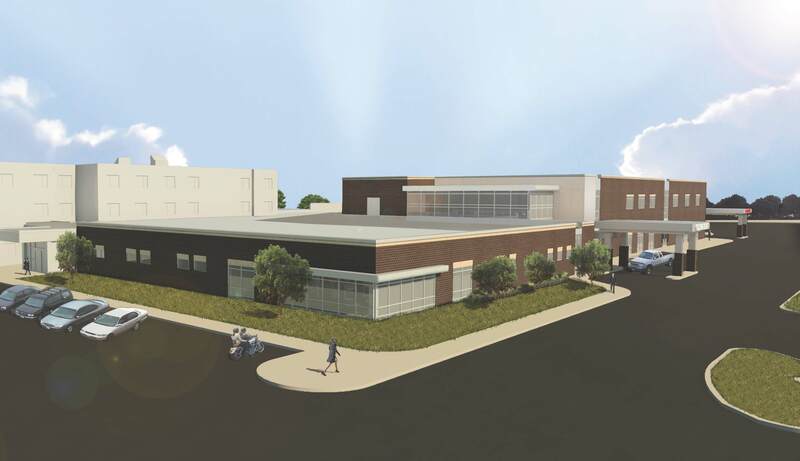 The basement, or ground floor, portion of the expansion will provided additional space to materials management for storage of patient care and hospital supplies. There will also be space for Engineering Department supplies and the ground floor will hold mechanical plant items to support the new area. When I say mechanical plant items, I mean specifically heating and cooling, air handler units, water supply and electrical access. Construction of the new square footage is still on pace to be completed Spring of 2016 and over the coming months the shell of the first and second floor of the expansion will be erected. Site work for the remainder of the expansion is the immediate next step. Once construction of the new square footage is complete and departments have moved into new space, renovation will begin on vacated space. 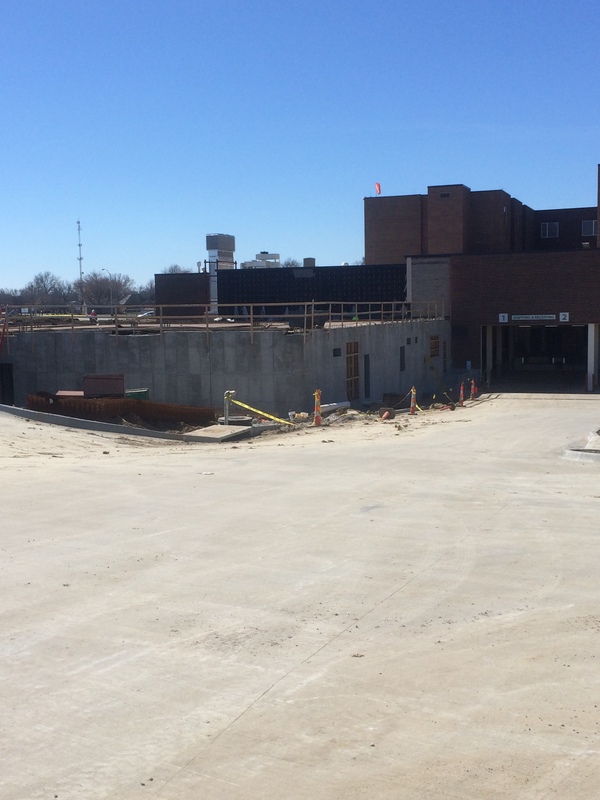 Total construction and renovation are slated to be complete by end of calendar year 2016. The construction project is exciting and progressing as planned, expect more photos in the coming months. Here’s an artist’s rendering of the final project. This perspective is from the front of the building, the photo posted above is from the back of the building and was taken from the service road.